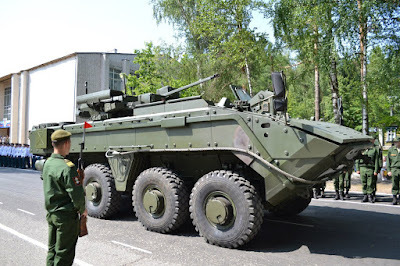 Visitors of the ARMY-2017 military show outside Moscow got their first detailed look at the Bumerang, Russia's new amphibious wheeled armored personnel carrier. Military officials and experts spoke to Izvestia about the technical requirements for the new vehicle, and how it's expected to integrate into Russia's Naval Infantry. This week, patrons of the third ARMY-2017 International Military-Technical Forum got a unique opportunity to finally see Bumerang up close and in action. Previously seen only from a distance during parades on Red Square, the military show saw the new APC perform a dynamic exhibition, showing off its combat and maneuvering capabilities. The Bumerang is capable of swimming independently for dozens of kilometers and hitting land-based targets from the water using its complement of onboard weapons. Furthermore, in accordance with the tactical and technical requirements for the vehicle demanded by the Russian Navy, the Bumerang must be fully compatible with Russia's latest high-speed hovercraft and landing ships. 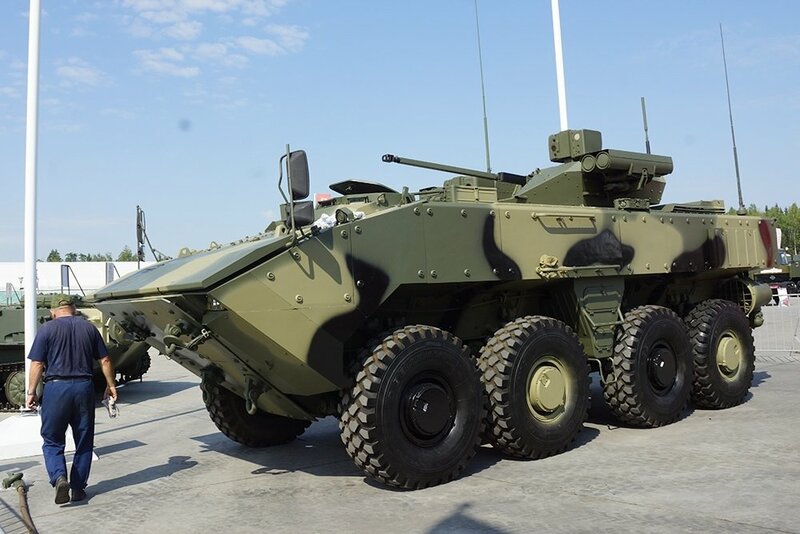 Military experts expect the Bumerang to become a universal combat platform, capable of solving a wide range of military tasks. 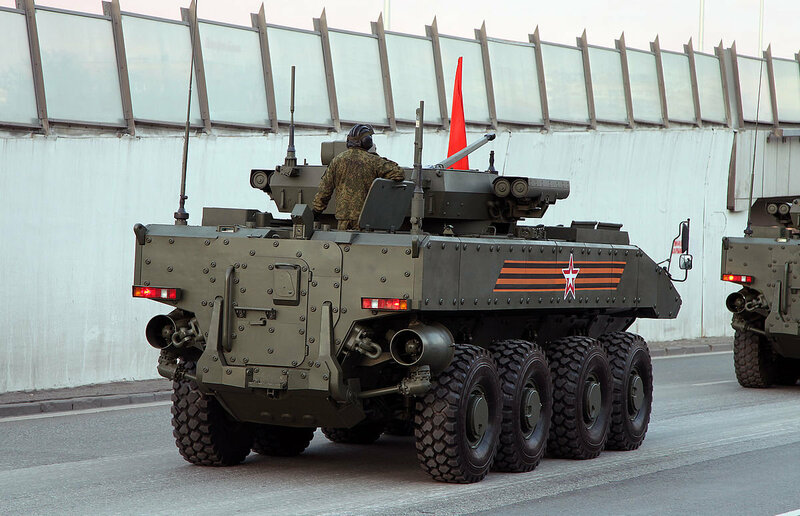 This is line with Russian armored vehicle makers' broader doctrine of modular vehicle design, designed with cross-compatibility, interchangeability, and wide configurability in mind. 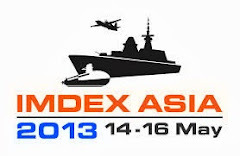 In the Navy, the Bumerang's missions will include amphibious troop landing, fire support and ground engagement. Both in amphibious mode and from aboard landing craft, the Bumerang must also be able to fire using all of its onboard weapons systems against coastal targets. "An amphibious version of the Bumerang APC is being tested," Alexander Krasovitsky, general director of the Military-Industrial Company, the developer of the vehicle, told Izvestia on the sidelines of ARMY-2017. "The exact form of the vehicle is still being finalized according to the customer's requirements, so it's too early to speak in more detail about its capabilities," Krasovitsky added. 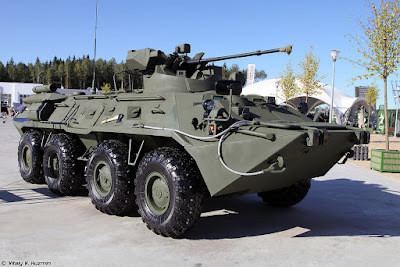 Presently, Russia's Naval Infantry is fitted out with the BTR-82A, the latest version of the BTR-80 APC, and with the 2S31 Vena 120-mm amphibious self-propelled artillery system. Vadim Kozyulin, military expert and professor at the Academy of Military Sciences, pointed out that the Navy's plans also include the construction of a series of new large Lavina amphibious assault ships. These ships will be able to deliver up to 60 light armored vehicles to shore, dropping them off either via their bow door, with the help of speedy smaller landers. With this in mind, it's only logical that the Bumerang be fully compatible with the Lavina. The Bumerang is one of several new combat platforms developed by Russian armored vehicle companies over the last few years. The APC's front-engine design is meant to protect the vehicle's crew and complement of troops from enemy bullets, grenades, and improvised explosive devices. This arrangement also provides for a safer and more convenient exit from the vehicle via its rear door. The Bumerang's amphibious capabilities are provided by its sealed armored hull design, together with two rear-mounted jet propellers placed behind the vehicle's wheels. 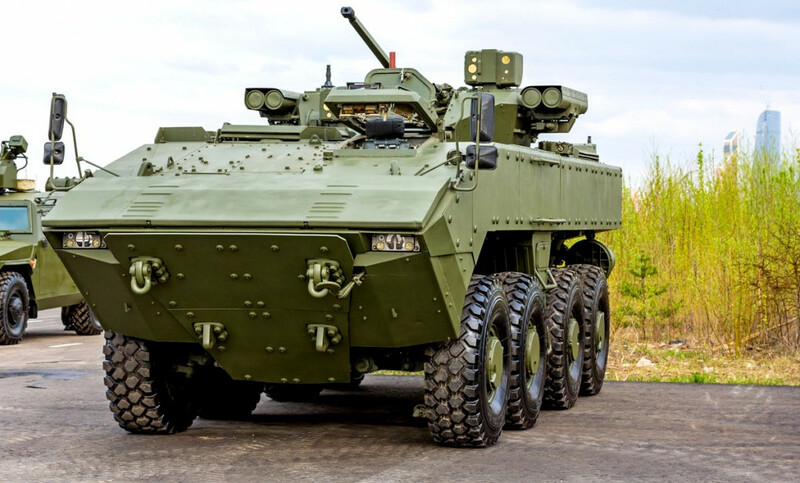 They provide the 20-ton APC with a maximum speed of about 6.5 knots (at least 12 km/h) over the water. Testing of the base model of the Bumerang is expected to wrap up later this year. capek emang om ben haha! namun bila keadaan memaksa, apa bole buat. siapa tau apc ini digunakan utk perairan air tawar/brown water. intinya memang soal ketahanan/endurance di air. 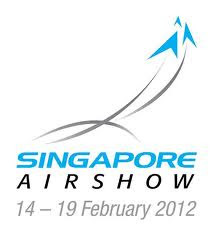 bmp 3f pun sanggup renang di air selama 7 jam. Staying far is one thing. Staying too far is another. If u were to deploy far out at sea it will take longer for you to get to your objective. Ships will be save. These however complicates the assault forces as they will take longer . The waves might be a problem. Well depending on weather conditions. Still the speed of 6.5knots is very slow. 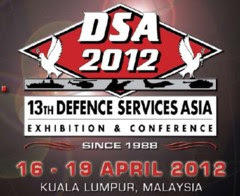 At 12.5km per hr and u deploy from 60km u will take like 4.8hrs! That is long. U will less likely have the element of surprise at this rate. This is why i prefer landing crafts. (imo) i like to have apcs all on landing crafts that travel faster at longer distances of that were the case. Take note: Queenbee a newbie troller.